In the interests of transparency we have provided below an indication of typical fees for an individual bringing an Employment Tribunal claim for unfair or wrongful dismissal or an employer for defending such a claim. We charge on an hourly rate basis and our standard rates range between £275 to £510 (excluding VAT) depending on experience, although we offer discounts to clients in certain circumstances. The information above is for guidance only as no claim is the same and the actual fees involved will depend on the number of hours worked on it by our lawyers, which will depend on a number of things including the particular claim, the engagement of the client and the level of support required. In some instances our fees have exceeded the range stated above. We can provide regular fee estimates and updates at agreed milestones so that clients are fully informed of fees and can approve fees before they are incurred. There will be an additional charge for each lawyer attending a Tribunal Hearing which would be charged on an hourly basis. Typically, unfair dismissal claims involve a two to four day hearing, although this will depend on the complexity of the claim. Disbursements are costs related to your matter that are payable to third parties, such as court fees, photocopying and couriers. We handle the payment of the disbursements on your behalf to ensure a smoother process. A barrister (Counsel) is usually engaged to represent you at the Tribunal Hearing, fees for barristers typically range between £1,000 to £10,000 (excluding VAT) for preparation and the first day, plus a fee for each additional day typically ranging from £500 to £2,500 (excluding VAT), depending on the particular barrister and their experience (including preparation). The stages set out above are an indication and if some of stages above are not required, you will not be charged for it. The time that it takes from receiving your initial instructions to the final resolution of your matter depends largely on matters outside of our control, including the stage at which your case is resolved, the availability of the Tribunal, the complexity of the case, and co-operation of the other party. If a settlement is reached during pre-claim conciliation, we estimate your case is likely to take 2 to 8 weeks to conclude. If your claim proceeds to a Final Hearing, your case could take 12 weeks to 18 months, although this could be longer, depending on a variety of factors including the capacity within the Tribunal. There are 10 members of the team who may work on your matter, please click on the links below to see profiles of the members of the team. Associates and Senior Associates will be supervised by a Partner. 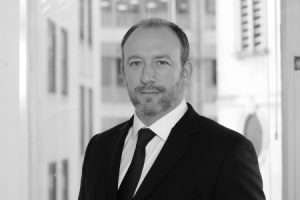 David has specialised in employment and industrial relations law since 1997 and has headed the employment group since 2006. David undertakes both contentious and non-contentious work, advising on all aspects of employment law. He has significant experience in advising on complex unfair and wrongful dismissal claims, including those with multiple heads of claim. David completed his training contract at Hogan Lovells and qualified as a solicitor in 1997. Marian has been a partner in the team at Kemp Little since 2015. 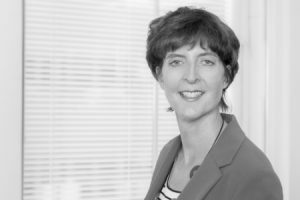 Before joining us, she was a partner at Berwin Leighton Paisner and has over 20 years’ experience of advising on employment law, specialising in litigation. She has advised on numerous claims for unfair dismissal, wrongful dismissal, whistleblowing and discrimination, often working on high value (multi million pound) cases combining multiple claims, typically within the financial services sector. Marian qualified as a solicitor in 1997. She completed her training contract at Charles Russell, qualifying into the Employment team there. 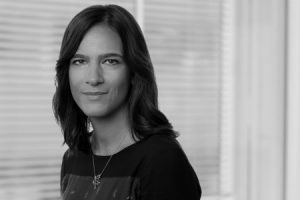 She subsequently worked in the Employment team at Hogan Lovells for 10 years before moving on to join Berwin Leighton Paisner as an Employment partner in 2010. Marian is currently Deputy Chair of the national Employment Lawyers’ Association. Kathryn is a partner in our team, having joined Kemp Little in 2008. She has over 13 years’ experience advising on a broad spectrum of employment matters. She has advised on numerous claims of unfair dismissal and regularly advises on situations which may develop into claims of unfair and wrongful dismissal. She has significant experience in advising on complex unfair dismissal claims. Representative work includes successfully defending a digital media agency in relation to employment tribunal claims for TUPE-related unfair dismissal and successfully defending an NHS Trust against claims of discrimination and unfair dismissal in the Employment Tribunal and Employment Appeal Tribunal. Kathryn qualified as a solicitor in 2005, having completed her training contract at Clifford Chance. She has an MA in Law from the University of Cambridge. 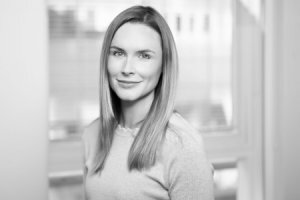 Amy is a Senior Associate in our team and has over seven years’ experience in advising on a broad spectrum of employment matters. She predominantly advises employers and regularly advises on managing the risk of unfair or wrongful dismissal claims as well as actual claims in the Employment Tribunal. She has advised on a number of complex unfair dismissal matters, for example where there are potentially multiple heads of claim, including discrimination. She qualified as a solicitor in 2011, having completed her training contract at Slaughter and May. She read law at the University of Oxford and completed the Legal Practice Course with distinction at BPP in London. Anna is a senior associate in our team. She advises a broad range of companies on contentious and non-contentious matters throughout the employment lifecycle. She regularly advises on risk of unfair and wrongful dismissal claims and claims in the Employment Tribunal. Anna qualified in 2011 having completed her training contract at Feagre Baker Daniels and has specialised in employment law since. She graduated from the University of Nottingham with a degree in law with German. 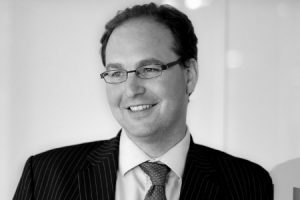 Justin qualified as a solicitor in 2009, specialising in employment law. He offers pragmatic and tactical advice to both employers and employees throughout the lifecycle of employment. Justin has advised a wide range of companies on contentious and non-contentious matters and has particular expertise advising on Tribunal litigation, including unfair and wrongful dismissal. An example of Justin’s work includes defending whistleblowing proceedings, including automatic unfair dismissal claims. James qualified as a solicitor in 2013. He attended the University of Oxford, and completed the Graduate Diploma in Law and Legal Practice Course at BPP in London. 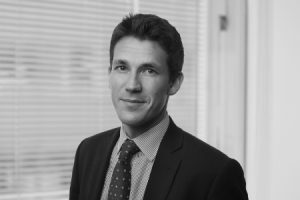 He has been working in our employment team since he joined the firm in 2016 and has a broad experience across advisory, contentious and transactional matters and he regularly advises employers on unfair and wrongful dismissal claims. He has also gained significant client-side experience by being seconded into the Employee Relations team of a significant financial institution and, most recently, into the legal team of the world’s largest provider of technology and IT support services. 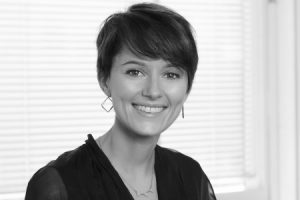 Lucy qualified as a solicitor in 2014 after gaining a First in Modern Languages from the University of Oxford and completing the Graduate Diploma in Law at City University (with commendation) and the Legal Practice Course at the University of Law (with distinction). 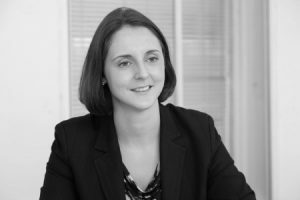 Since qualification Lucy has dealt with a number of unfair dismissal cases, with the most recent representative example being a complex case involving allegations of automatically unfair dismissal on the grounds of trade union involvement and a number of detriment claims. Over 70% of Lucy’s time is spent either advising on cases concerning claims of unfair dismissal or advising on potentially contentious matters where there is a risk of an unfair dismissal claim. Lucy regularly advises on complex matters, with examples being cases involving numerous different heads of claim, cases where careful strategic thinking was required (e.g. where disclosure ran concurrently with a data subject access request, each needing a different approach in tandem) and cases which required consideration of regulatory breaches alongside ordinary disciplinary matters. Lucy speaks French, German and Spanish to a high level. 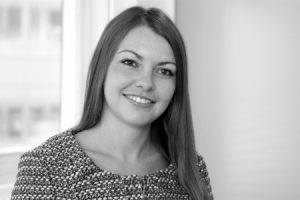 Louisa qualified as a solicitor in 2014, after completing her training contract at Clyde & Co LLP, and has been specialising in employment since May 2016. Louisa read Law at the University of Newcastle upon Tyne, and completed the Legal Practice Course at The College of Law, obtaining a distinction. Louisa joined Kemp Little in March 2018, and regularly advises clients on unfair and wrongful dismissal claims – of varying complexity – both from an employer and employee perspective. In addition to this, Louisa advises clients on a wide range of contentious and non-contentious matters. Sinead qualified as a solicitor in 2017. She attended Warwick University and completed the Graduate Diploma in Law and Legal Practice Course with distinction. She has been working in employment since prior to qualification and deals with a wide range of commercial employment matters, mainly acting for the employer. Since she qualified, Sinead has been developing her contentious skillset and has been involved in advising clients on a number of complex Employment Tribunal claims, including in relation to unfair dismissal, discrimination, TUPE and working time claims, and has represented clients in the Employment Tribunal. You can access the firm’s complaints policy by clicking here. Kemp Little LLP is a limited liability partnership registered in England and Wales (registered number OC300242) and is authorised and regulated by the Solicitors Regulation Authority. Its registered office is Cheapside House, 138 Cheapside, London EC2V 6BJ. The SRA Handbook can be accessed by clicking here. Please select from the areas of interest below.